For the marginally interested (i.e. most of us), here’s why Cannes is a BFD: The French film festival has a history of premiering massively influential movies and launching the careers of auteurs like Quentin Tarantino, and it provides a space for filmmakers to land funding or distribution deals for more-ambitious-than-average projects. 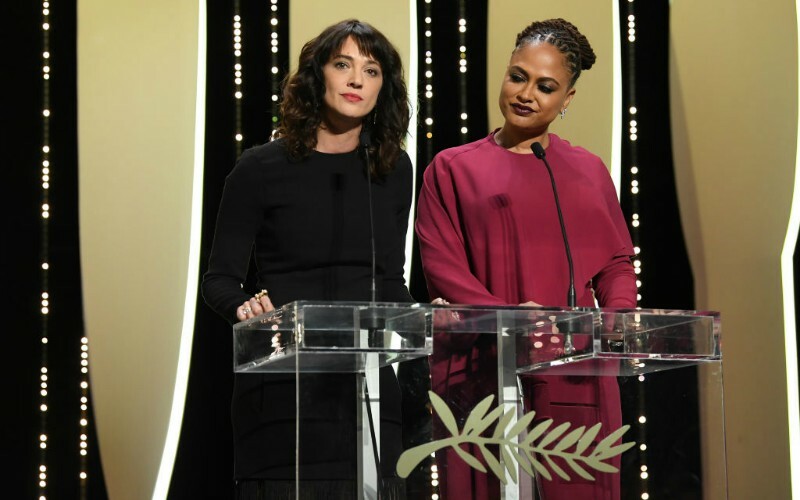 Historically, it’s also functioned as a “hunting ground” for likes of Harvey Weinstein, according to Italian director and actress Asia Argento, who spoke at Cannes’ closing ceremony. Argento previously shared the story of her assault at Weinstein’s hands in the New Yorker during that first wave of #MeToo and Time’s Up momentum in October. Can’t get enough of these remarks by @AsiaArgento. If people spoke truth to power like this more often (not just about #MeToo) the world would be a much better place. And with that, Argento capped off a weeks-long conversation about women’s presence at the festival itself and in Hollywood at large. It was a conversation symbolically led by Cate Blanchett, who headed up the fest’s female-skewing jury. And tangible progress, it seems, is being made—even in an industry that masterfully monetizes pop feminism while reinforcing the systems that undermine women (oh hey there, I Feel Pretty). A week ago Cannes’s artistic director, Thierry Frémaux, signed a charter committing to the promotion of gender parity at the festival. Going forward, Cannes will publish gender stats for all films submitted to and selected by the festival and will actually tell us who is on their selection committees. It’s a small step, but it’s a step in the right direction.